Jack's mother loves moving house. Since Jack's father left they've already moved five times. Starting a new school is difficult, so Jack always has a plan. He has a strategy that he can follow, so he will fit in well enough to stay out of trouble. He makes sure he knows what his classmates like and dislike and blends in, trying to remain unnoticed. This normally works very well, he doesn't make any friends, but he also won't become a target. Jack thinks it's perfectly acceptable to live like this, until he meets Tyler. Tyler loves inventions and he's good at making and upgrading things. Tyler truly sees Jack and that means Jack can't hide behind his usual facade. Can Jack trust Tyler enough to become friends? By giving Tyler a chance Jack has to learn how to be himself again, but will he dare to be just Jack? Just Jack is a beautiful impressive story. Jack misses his father and is struggling with his parents' separation. His mother is busy at work and Jack doesn't want to bother anyone. He doesn't talk about his feelings, but doesn't know how to handle them, which makes him get into more and more trouble. Jack can definitely use someone who's completely on his side. Tyler is a breath of fresh air. He's smart, lively and perceptive. I loved how he and Jack really understand one another. That makes their story a joy to read. 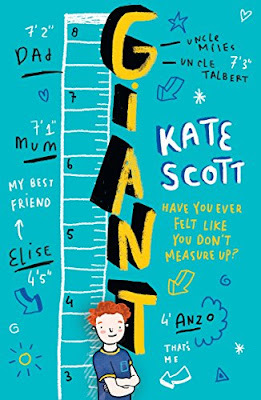 Kate Scott combines wonderful friendship with fabulous inventions and her story put a big smile on my face. Kate Scott has a great warm writing style. I loved how Jack slowly learns that being someone else to remain safe won't make him feel fulfilled and happy. His journey is an interesting one and I liked how he finds the courage to face his problems and be honest with himself. Kate Scott has a fabulous subtle sense of humor that suits the stories she writes incredibly well. Just Jack is clever, surprising, charming, informative and a lot of fun. If you love stories about friendship you don't want to miss Just Jack. It's meant for the 9-12 age category, but should be enjoyed by readers of all ages. Anzo is short for his age. He's eleven years old and people usually call him peanut because he's so small. Everybody in his family is tall, and loud. Being heard and seen at home proves to be difficult. His parents and uncles are opening a restaurant together and they are all working hard towards this goal, but Anzo isn't part of the process. He feels like he doesn't fit in at all. The only one who truly gets him is his best friend Elise. Anzo has one wish, he wants to grow. If only he could be tall, then all of his problems would be magically solved. He thinks that by being tall people will start to notice him. Will growing really make such a big difference or are there other ways to deal with difficult situations? Anzo is a sweet and talented boy. He's a good friend, he isn't afraid to put a lot of effort in chasing his dreams and he's genuinely interested in others. His family tends to overlook him and this makes him feel sad and lonely. Fortunately he has a best friend who knows how to cheer him up and she does everything she can to help Anzo with his problems. The friendship in Giant is heartwarming and that makes the story a true gem. Kate Scott writes about being yourself, fitting in and bullying in an amazing emphatic way. I love that she approaches issues that a lot of children are struggling with, with a fabulous sense of humor. She constantly made me smile and surprised me many times. I loved how Anzo grows, both in the literal sense and as a person. It's a beautiful process to witness. Giant made me feel like a child again and I enjoyed every single page of this fantastic inspiring story. If you love creative children's books laced with humor you don't want to miss Giant. It's meant for the 9-12 age range, but I think anyone will enjoy this wonderful book. Kate Scott was born in London of American parents. She has lived in Hong Kong, Paris, Scotland, and two tiny villages in France. She now lives in Dorset with her husband and two children. Poems from her collections Stitches (Peterloo) and Escaping the Cage (HappenStance) have been broadcast on BBC Radio 4 and her short fiction on Radio 4 Extra. Kate was one of four poets-in-residence for the National Trust (West Dorset) which led to a reading hosted by Sir Andrew Motion and Tom Paulin at Kings Place, London (also published by HappenStance as Who’s in the Next Room?). Kate’s TV writing credits include BIG AND SMALL (CBeebies), CHUGGINGTON (CBeebies), THE HIVE Series 1 and 2 (Disney World) and TOOT THE TINY TUGBOAT (Channel 5). She was the script editor for the second series of THE HIVE and is a script reader for animated feature films. Her radio play, Voice, was shortlisted for the Nick Darke Award (2011). She was also longlisted for the BBC Radio Writer’s Prize and in the Writersroom Script Room 10 (2016). Her work was selected for two stage-play script development events at Salisbury Playhouse and Salisbury Arts Centre and two plays were performed at the 2014 Salisbury Fringe Festival. 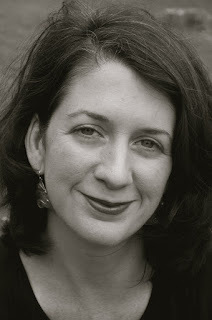 Kate’s scriptwriting is represented by Jean Kitson at Kitson Press Associates. Kate was included in the first Undiscovered Voices anthology with her 11+ novel The Rule of Water. She has written fiction and non-fiction for HarperCollins, Hodder, Pearson Education and Oxford University Press. She also wrote a teen dystopian project for IP company FourteenFiftyFour Ltd.
Kate’s comedy-adventure series for 8+, Spies in Disguise, is published by Piccadilly Press. The first book in the series, Spies in Disguise: Boy in Tights won a Lancashire Fantastic Book Award (2015). Her new novel for 9–12s, Giant, will be published by Piccadilly in 2017. Another standalone novel will follow in 2018. I live in a beautiful town in Dorset, close to the coast, with my husband and two children. After having lots of different addresses through my life, Bridport is the one that feels like home. It’s an incredibly friendly place – the kind where it takes you half an hour to run a five-minute errand because you keep bumping into people you know. (It’s a bit like living in a town from a children’s book.) At the moment I am a full-time writer and editor. I write in several different genres – from poetry to plays to children’s books and television and feel very lucky that I get to call sitting in a room and making things up ‘work’. It rarely feels like it. 2) You write about fitting in, what’s the inspiration behind your stories about this topic? 3) Your stories are also about learning to be yourself, which is an important message, how do you translate it into a fun story children will love and cherish? Although the message or the motivation for the story is always in the back of my mind, I keep the need to create a fun and compelling story very much in the front of it. I don’t ever want my stories to sound educational or preachy. The way I attempt to do that is by creating characters that my readers can respond and relate to – people that they’d like to meet in real life. Whether I’m successful in any of my intentions is another story! 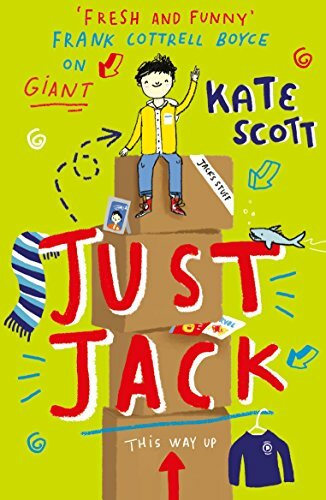 4) Can you describe the main characters of Just Jack and Giant in six words each? I can’t describe anything in six words! 5) You write for children, what’s the most fascinating thing about this? There are no limits. If you can imagine it, you can write it. Children don’t have preconceptions about what’s possible so as long as you’re convincing, they’ll go with you wherever you decide to take them. I also love the first and foremost rule of writing for children: don’t be boring. An adult might give a novel a chapter or two before they give up on it – a child will only give you a page. That is great training for any writer to concentrate on making a story come alive. Children’s writers can’t be self-indulgent – they have to put the story first. I love that. 6) You also work with children, can you tell a bit more about that? One of the best parts of writing for children is having the opportunity to work with them in schools. I’ve yet to do a school visit where I haven’t come away feeling inspired or when I haven’t been made to laugh so hard that I’m in danger of making embarrassing snorting sounds through my nose. The last visit I did, I got 120 children to give me a Roger Moore one-eyebrow lift (they did it exceptionally well) and we went on to use a colander as a hat and a rolling pin as a sword. There aren’t many jobs which give you access to that kind of joy. And I always come away from visiting schools feeling full of hope. There are some truly amazing kids out there and I can’t wait to see what they grow up to do. 7) You’ve lived in many different countries, how was that and do you use some of the experiences you had for your books? I’ve only recently begun to use some of my experiences of living in different countries in my own work. I’m currently writing a novel set in Hong Kong and am loving trying to recapture that time – particularly the intensity of the heat. 8) You write about self confidence, empathy, bullying and friendship, how do you prepare for the difficult parts of your stories and what can children learn from your books? I try to write honestly but humorously about difficult situations. Above all, what I would love readers to feel is reassured – reassured that they are fantastic just as they are; that their voice is just as important as anyone else’s; that they are not alone in feeling lonely or sad; and that hard situations can and do get better. 9) What does genuine friendship look like and what makes it such a great topic to write about? I think true friendship is about acceptance – accepting a person for who they are, rather than what you would like them to be. It’s about bringing out the best in someone by inspiring them to try harder and recognise their own potential. It’s also about crying if you need to and – more regularly – laughing together until you snort through your nose. Good friendships will throw up a huge variety of both fun/funny and intensely emotional situations which makes them a natural subject for storytellers to turn to. To write more books, plays, poems . . . I’m determined to become a better writer in any and every way I can. I also plan to keep fuelling my reading addiction with new discoveries, to learn Italian as well as refresh my French, to illustrate my own book one day and to get dangerously good at making pastry. No one can say no to a good pie. One very lucky reader of With Love for Books will receive paperback copies of Giant and Just Jack by Kate Scott. These sounds like fun stories. Such creative covers too. They would be perfect for my Kid's Korner feature. Both books sound like warm, funny stories with great characters and lots of layers. These sound like wonderful, original stories of friendship! --I enjoyed looking at the publisher's Web site and seeing all their delightful books! sounds wildly entertaining for the kids! These books sound like so much fun. The kids will love them. These novels sound like wonderful stories of friendship and would be ideal for my grandchildren. These sound like great stories, just the kind of thing my son would love. My kids would love to read these fun-sunding books. I would love to read these books. LOVE! funny and great books! I want to read them! These sound like the perfect books for my son. Thank you for writing books that appeal to both boys and girls. I am a special education teacher and I love children's books! I love the fact that Kate wants to promote confidence and positivity amongst children. My students definitely need more of this. Your book would be great for my bookworm niece.